The weather is ideal for enjoying the hundreds of miles of trails for outdoor adventures and the calendar features a variety of family-friendly fall festivals and special events. Make plans to see this year’s gorgeous fall colors and check out some of the fun fall-related events! This year, the Layman Family Farm is celebrating its 15th year of fall fun and traditions! Activities include an 8-acre corn maze, pumpkin patch, hay rides, animal alley and much more. Located at Milepost 86 on the Blue Ridge Parkway, Peaks of Otter is one of the best spots in the area to spend an autumn Blue Ridge Day. Take in the beauty of Abbott Lake and the surrounding mountains while enjoying live music as part of the Mountain Music & Arts Festival hosted by Peaks of Otter Lodge. Get in the Oktoberfest spirit with traditional beers, bratwursts and select wines at Chateau Morrisette! There will also be live music all afternoon by Java Brothers & Jared Stout, and arts & crafts available for purchase. The Historic Roanoke City Market in Downtown Roanoke will celebrate the arrival of fall with its annual Harvest Festival. Market Square will feature seasonal decorations and there will also be farm-fresh fall produce, including pumpkins and apples. Join the festivities at the 30th annual Smith Mountain Lake Wine Festival in Virginia’s Blue Ridge! 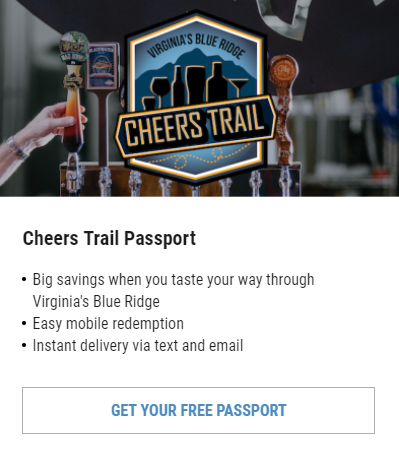 It’s a two-day festival showcasing 30 Virginia wineries, as well as 85 food and craft vendors. There will also be live music by Weird Science and Barefoot West. 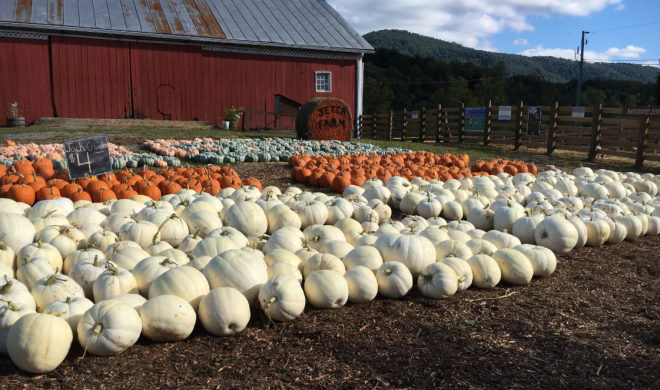 Stock up on all your fall favorites like apple cider, pumpkins, and kettle corn, and enjoy the great fall activities at Jeter Farm! It’s a wonderful place to make memories with friends and family as you navigate the corn maze and meet the adorable farm animals. The Salem Museum presents multiple opportunities to take part in Ghost Walks that are fun and informative, featuring characters connected to Salem’s past. You might even meet a few spirits during this family-friendly adventure! While Salem’s ghost walks are light-hearted and fun, The Meek’s Manor Haunted House is the experience for those looking to be scared out of their minds. It’ll feel like you’re part of a horror movie as you enter the world of Axle, Mickie and Nikki Meek’s, three of the deadliest sociopaths in Virginia. Decorate your bike and get wild for the Fall Party Ride organized by Downshift - Hand Crafted Bikes & Brews! It’s a great group ride that highlights the awesome cycling culture of the region and you’ll visit a few fun, local watering holes along the way. More than 100 vendors will be set up in Buchanan’s Town Park for the town’s 24th annual Mountain Magic in Fall Bluegrass, Antiques & Crafts Festival, which has been named a “Top Community Event.” There’s also great food and shopping nearby along Buchanan’s charming Main Street. Are you ready for a weekend of mountain bike races at Carvins Cove? The 3rd annual Creature from Carvins Cove will feature Cross Country, XXC Marathon Mountain Bike Races, and the first ever Enduro race at the Cove, which has been named one of the best spots in the Southeast for mountain biking by Singletracks. If you like pumpkin, you’ll love The Great Pumpkin Smash at Dr Pepper Park! It’s a day packed with pumpkin-inspired brews and food, as well as live music and the smashing of the great pumpkin. It’s three days of fun at the Roanoke GO Outside Festival, a celebration of our incredible outdoor culture in Virginia’s Blue Ridge. Known by many simply as “Go Fest,” this free event includes the opportunity to try a variety of outdoor activities, while also listening to great live music and watching demonstrations like BMX stunt shows, lumberjack shows, and the ultimate air dogs. Browse through a vast collection of pottery, furniture, fine art, jewelry, and other one-of-a-kind pieces from hundreds of artists & craftsmen at this popular Fall Art & Craft Festival. Admission is free with a food donation to Feeding America Southwest Virginia. Take part in the inaugural Carvins Cove Mountain Bike Challenge and discover why Virginia’s Blue Ridge is America’s East Coast Mountain Biking Capital! The challenge will include 3 separate courses for racers of varying skill levels, with each one incorporating over 80% singletrack. There are also options for first-time racers and a Family Team Relay. Explore the beauty and charm of Salem, which is known for hosting outstanding sporting events and has earned the reputation of being “Virginia’s Championship City.” In addition to the Half Marathon, the event features an 8K and Kids Fun Run. Begin your day by participating in the 5K Trail Race/Walk and then get ready to party at the 6th annual Smith Mountain Lake Oktoberfest. There will be authentic German food, German-style music, and special Oktoberfest beer. The Vinton Fall Festival is a seasonal favorite with things for the entire family, including your fur-babies. There will be live music and entertainment on two different stages, a dog costume contest, petting zoo, and various food & craft vendors. Take in the beauty of the scenic roads of Botetourt County as part of Virginia’s Blue Ridge Gran Fondo. There are 30, 50, and 80 mile route options, and everything concludes with a post-ride party at Ballast Point Brewing Company. Explore Park is getting in on the Halloween fun with a special Haunted Woods Mini Golf Course! The special 18 hole course along the haunted trail will include glow in the dark golf balls, goblins, ghouls and other frightening hazards. Listen to live music while you’re surrounded by the beauty of fall colors as you paddle on Philpott Lake at this special Concerts by Canoe event. Space is limited to only 30 individuals so don’t wait to reserve your spot! Learn about the history of some of Roanoke’s past residents, as well as a few who may still be with us, as you join this free History Bike Roanoke tour organized by Downshift Bikes. Carvins Cove is one of the best spots in Virginia’s Blue Ridge to see fall colors and this should be an ideal time to see peak fall foliage. It’s a two hour paddle and all equipment is provided but advance registration is required. The mini golf course at Bridgewater Plaza at Smith Mountain Lake will be decked out in Halloween themed decor and tricks & treats will be provided at this fun, new family-friendly event. The kids will love getting to trick or treat with superheroes and princesses while also playing in the glow-in-the-dark forest at the Kids Square Children’s Museum. Will you be the winner of the 5K race along the Roanoke River Greenway or, perhaps more importantly, the winner of the costume contest?! Well-behaved dogs on leash are also invited to participate. It’s a not-so-scary party for ghosts and goblins of all ages at the Virginia Museum of Transportation! The event will include a costume contest, train rides on the Candy Corn Express, model trains, games, and more. Mill Mountain Zoo provides a “terrorably” good time with its annual Zoo Boo event, featuring trick-or-treating, art activities, costume contests, and, of course, an opportunity to see all the wonderful animals that reside at the zoo. Open Studios Botetourt is a weekend full of beauty in Virginia’s Blue Ridge. Check out various local art studios and galleries on this self-guided tour throughout Botetourt County, while also taking in stunning fall foliage as you drive through the countryside. Looking for an easy trick-or-treating option for your little ones on Halloween? More than 40 businesses in Downtown Vinton participate in trick-or-treating on the afternoon of October 31 for children ages 12 and under. 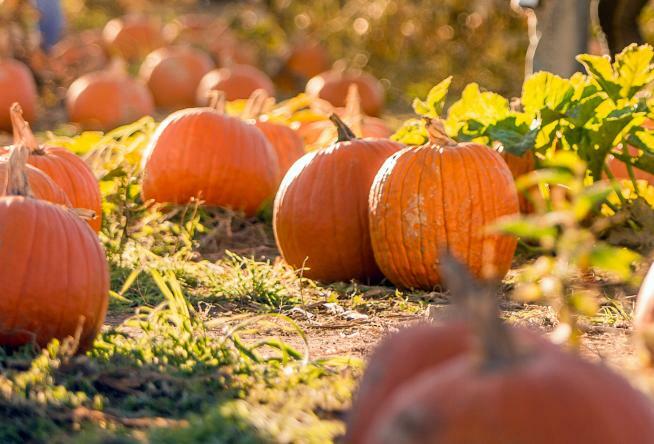 The Fall Frolic is a free two-day fall festival at the 5 Points Music Sanctuary that will include face painting, food, music, a farm harvest, and other seasonal fun. Who will take home the title of “Best Chili” in the competitive chili cook-off? 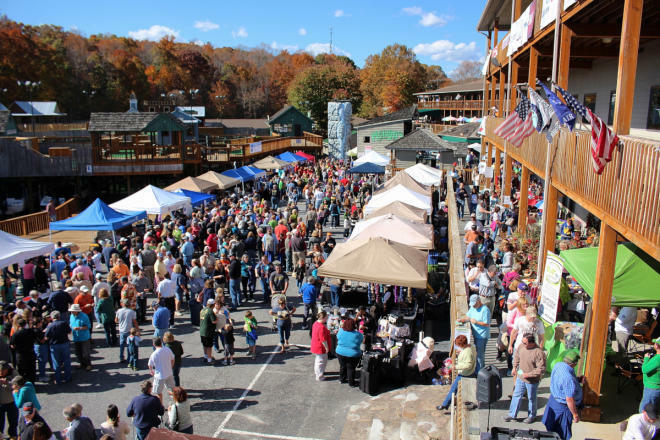 Determine your favorite and check out unique arts & crafts at the 16th annual Smith Mountain Lake Fall Chili & Craft Festival. Start your Thanksgiving Day off by supporting a great cause and participate in the 13th annual Drumstick DASH Family 5K Walk & Run in Downtown Roanoke, which supports the Roanoke Rescue Mission. 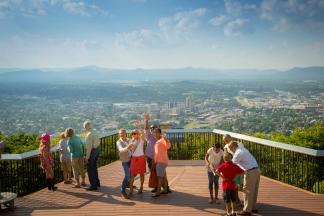 Special events are just one of the reasons you should plan a fall getaway to Virginia’s Blue Ridge. Visit our Fall section for more information and resources about this spectacular season. You can also check out the Calendar of Events for a complete list of upcoming events.